We figured out that I've known them since I was 15 months old. Now there are three girls in my family that are all in college, and their family has long since grown up and added four grandchildren to the group. Mr. and Mrs. Moonsamy having amazing testimonies of how God brought them out of hopelessness into a saving relationship with Him. All six of the "kids" are living for God and sing together as a group. My family has been blessed to have been friends with them for so long. 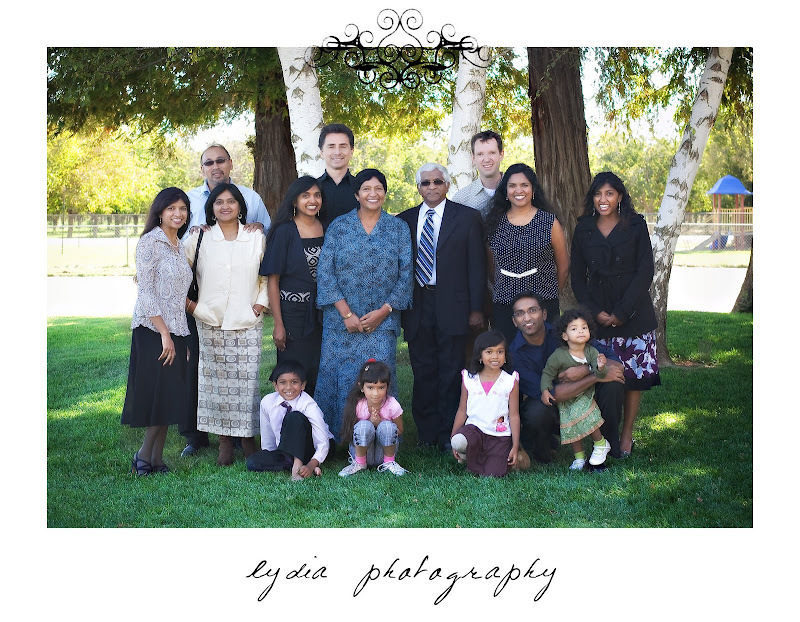 I was happy to be able to provide them with the second ever family picture to include all 15 of them! And in other news, I finally finished the grueling week, also known as finals, and am ready for a break! Be on the look out for long awaited posts! I really want to! It will depend on if I can come up with the funds...probably will need a roommate or something. Sounds so fun! PS. great photo! very cool!